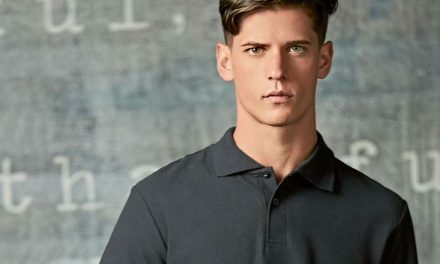 There are plenty of trends for garment decorators to embrace in 2019. 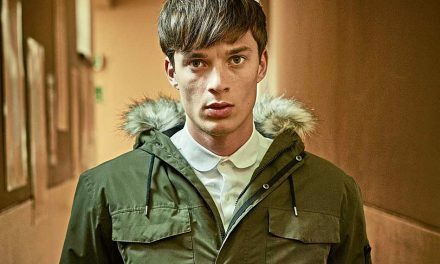 Fringing is set to be a big one – if you have a good sewing machinist on your team, you’re onto a winner. Tie-dye is set to be huge, with designers from Stella McCartney to Prada using it in their shows (check out the February 2019 issue of Images for a closer look at this particular technique), as is adding a handcrafted look to pieces (take a look at Erich Campbell’s guide to creating handworked embroidery using an embroidery machine in the May 2018 issue of Images), while the bright colours and bold shapes of the 1980s still dominate. 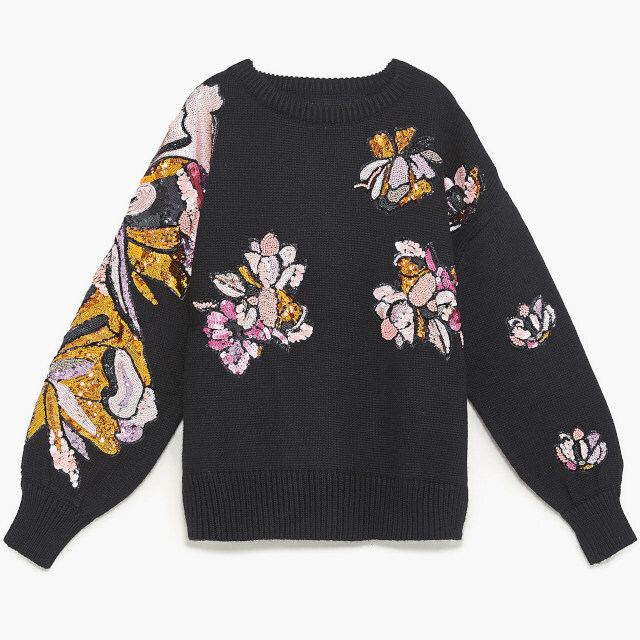 Sequins continue to cast their spell over fashionistas, as do florals – and the two come together gloriously in Zara’s knitted sweater, which also offers more than a nod to the 80s. 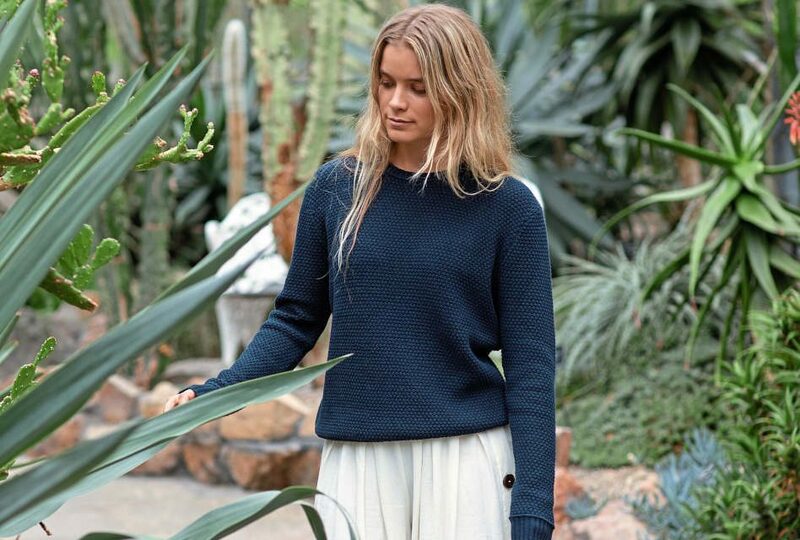 For those inspired by this style, a good starting point is the new Takoro Sweater (EA062) from Écologie by AWDis, which is made from 70% regenerated cotton waste and 30% recycled polyester, and has ribbed cuffs and hem. Also opting for flowers, although using them in a more restrained, handcrafted way, is White Stuff with its Floral Stripe Tee. Its imprint pair is the Women’s Stripy T (M110S) from Mantis World, which is made from 150gsm, 100% cotton and has gently curved side seams. 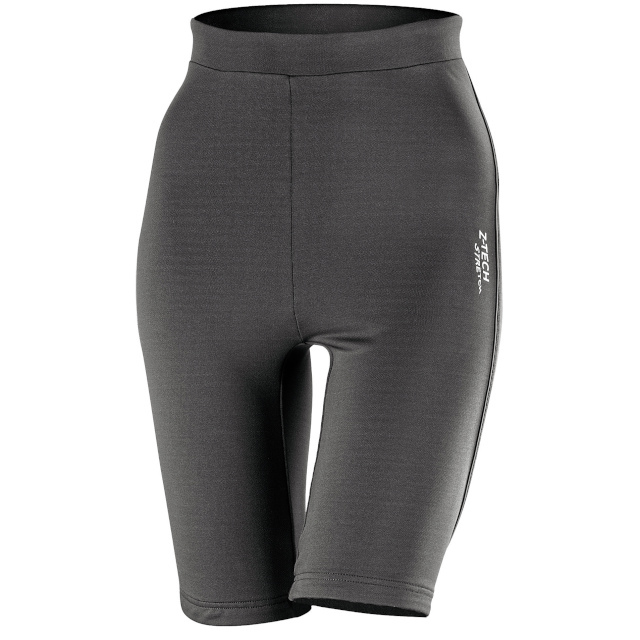 Cycling shorts are, to some, an unexpected addition this year to the shelves of the high street shops, although keen followers of the athleisure trend will be unsurprised by this development. Miss Selfridge has a number of cycling shorts in its SS19 collection; to tap into this trend, try Spiro’s Sprint Shorts (S174F). 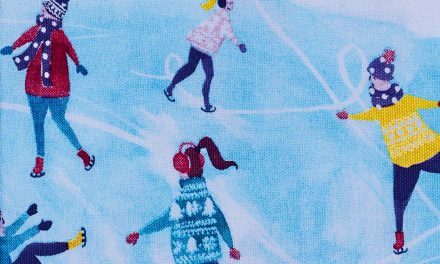 They are made from a lightweight, breathable, quick-drying 92% polyester/8% elastane fabric and are suitable for embroidery and transfer print. In-your-face neon colours were splashed across the catwalk and are hugely popular in retail. 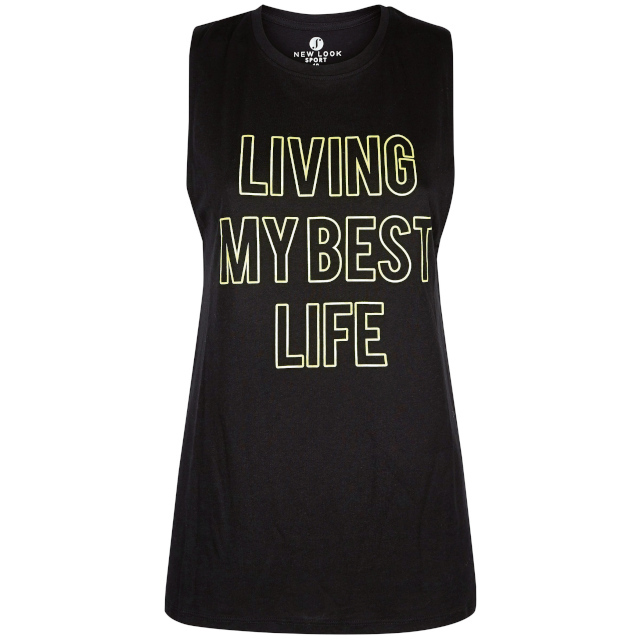 If your customer asks for a more subtle approach, opt for a neon decoration instead of all-over colour, as can be seen on the Black Neon Living Slogan Sports Vest from New Look. 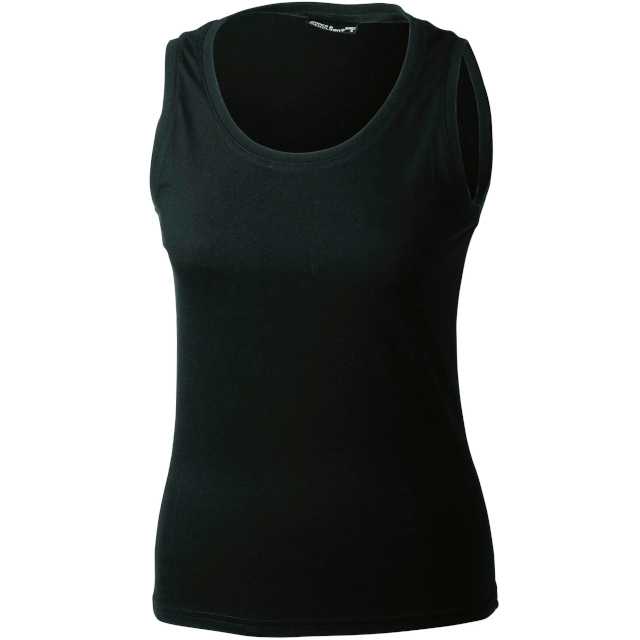 To print your own version, Fusible Systems offers the Ladies Tank Top (JN902) from James & Nicholson. Made from 100% ringspun cotton, it has fine knitted bands on the neckline and armlines, and is slightly waisted with side seams. Slogans on tees are an enduring favourite. The key to being stylish this year is to find a new way of displaying them, from running the words straight across the sleeves and body in one line, printing on the side of a hood or, as with the Michelle Keegan Slogan Vest from Very, flipping the word upside down and cutting it out from a block of colour. Test out your ideas on the Women’s Flowy Muscle Tee With Rolled Cu(8804) from Bella+Canvas.